What a wonderful way to start out the year! Find out about all of the fun things that your students did this summer with a little help from Wallace! This young boys tells of his adventurous summer vacation on a ranch. Of course, Wallace lets his imagination get the best of him, but it sure is entertaining! Who's it for: This is a great read aloud for kindergarten through third grade. 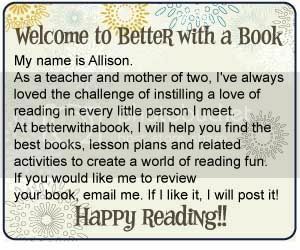 The reading level is 2.8. 1. 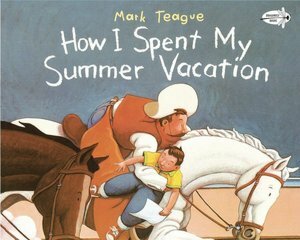 Share this book with your class or your child and encourage them to write about their own summer vacation. Illustrate the stories and display them in your classroom. 2. For the older kids, have them exaggerate various parts of their summer vacation in an attempt to entertain the crowd. Share your stories and invite students to pick out the real things that happened, as well as the embellished events.